We offer a complete line swimming pool brushes for easy maintenance of the swimming pool. 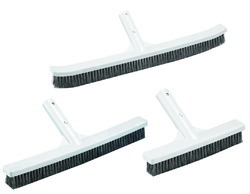 These brushes are ready to use and offers cleanliness with safe adjusting ability of the handles. Our range of pool brushes SS Algae Brush, Deluxe Wall Brush with Polished Aluminum Back and Standard Curved Wall Brushes. Swimming Pool Algae Brush, Size: 12"
We are providing best swimming pools cleaning equipment in very affordable price. 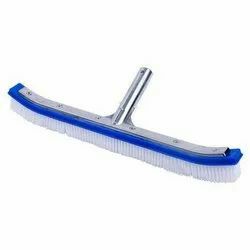 Our company has achieved widespread recognition in providing Pool Brush.